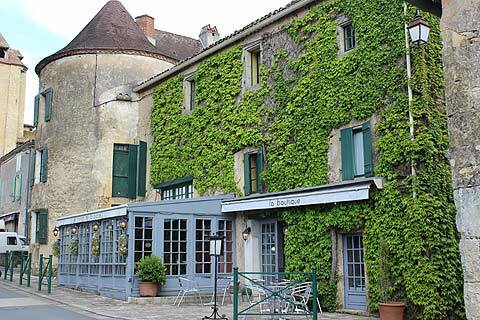 This lovely little village was the backdrop for Claude Chabrol's thriller, Le Boucher. 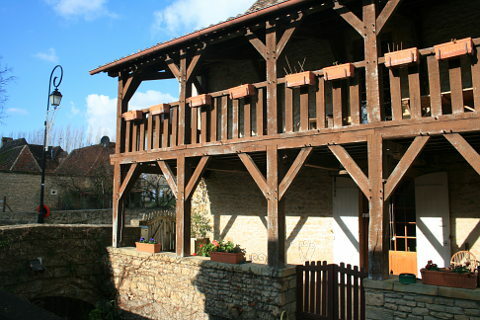 It occupies a great position at the top of a hill overlooking a loop in the river Dordogne. 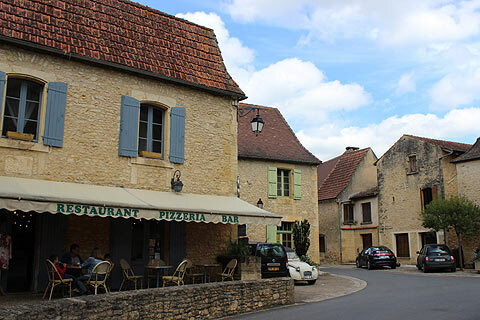 It is a very pleasant village to wander through or stop for lunch. There are a couple of restaurants in the centre. 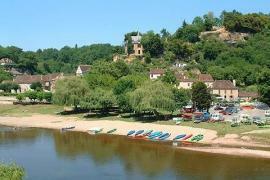 Indeed one of the best restaurants in the Dordogne is in the centre of this peaceful little village. 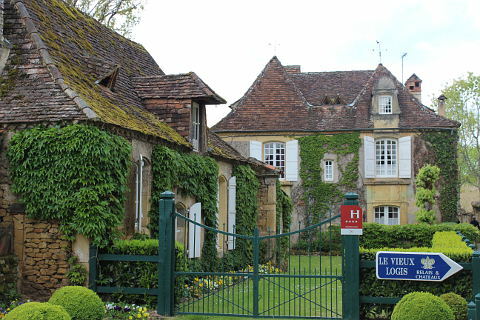 The Vieux Logis is a 4 star hotel with a michelin starred restaurant with an excellent reputation. Treat yourself if you get the chance! There is a tiny stream running through the village with stone bridges to cross it and various houses overhanging it adding to the quiet charm of the village. 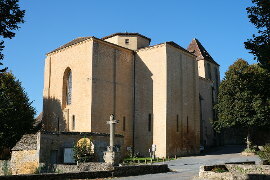 The Saint Nicolas church in the centre of the village is very tall and narrow inside. The stone inside has been painted cream and the stations of the cross are simple wooden crosses of a design similar to the celtic cross. Behind the altar are the remains of some 14th century frescoes, including one of 'The Last Supper'. All in all a very simple and attractive interior. The church was built in the 12th century and is all that remains of a monastery that once stood here. 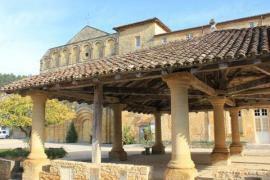 The church had a defensive role and has a 'strong room' which served to shelter the villagers in times of attack. Next to the church you can see the area that was once the cloisters. 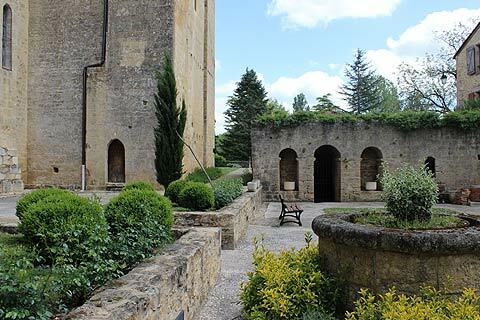 These were destroyed during the Hundred Years War but there remain three arches of the original 'salle capitulaire". 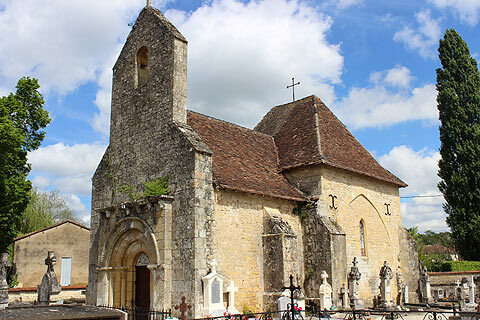 On the edge of the village is a lovely 12th century chapel, Saint-Hilaire Chapel which has been renovated by the locals. Take a look at the windows which are the work of the artist Paul Becker and were donated by refugées from Alsace who sheltered here during the war. Also to see is a traditional bread oven. 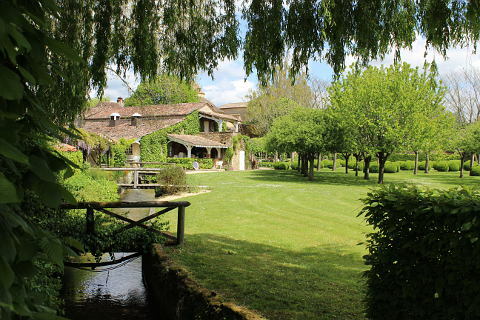 There is also a 'plan d'eau' (place where you can take a dip in the water to cool down!) 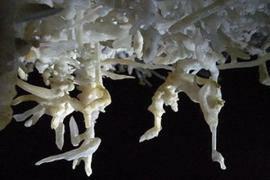 which is reputed for its water skiing. 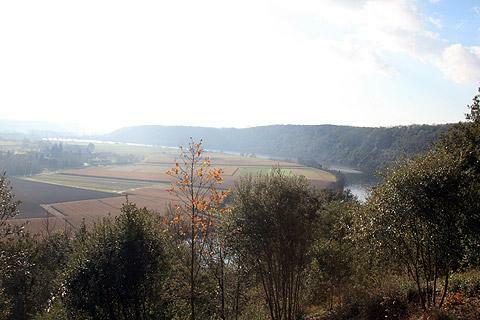 The nearby Cingle to Tremolat also attracts visitors - you should follow the road called the Route du Cingle, for breathtaking views of the Dordogne. 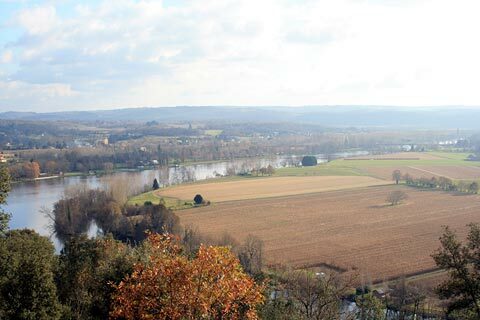 The cingle is a bend in the river giving the view of the Dordogne an extra dimension. 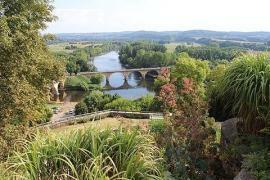 There are lovely arched stone bridges crossing the river on each side of the bend. Sadly the view is becoming rather obscured by the growing trees! The views from the Belvedere de Tremolat are magnificent. Even better, cycle the Cingle de Tremolat - a bit steep going up but well worth the effort. In the other direction is the Cingle de Limeuil, also very attractive. 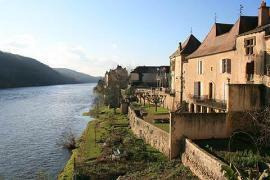 The village of Limeuil is close by and is classified as one of "the most beautiful villages" of France. 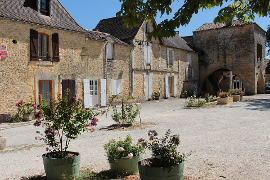 When in Limeuil walk up to the top of the village where you will find the Jardins-Panoramique. 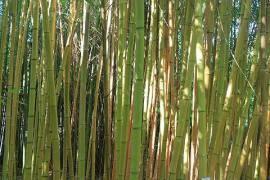 This is a park and gardens with some lovely views over the river.